Fanny Palmer created over 200 lithographs for the Currier & Ives publishing company and is regarded as one of the leading commercial illustrators of her time. Born in Leicester, England, she married Edmund Seymour Palmer at the age of twenty and immigrated to United States a few years later. 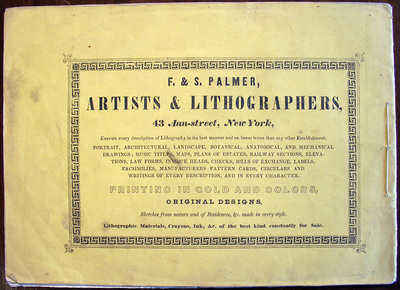 In the 1840s, Mr. and Mrs. Palmer set up a lithographic printing business called “F&S Palmer,” with Fanny drawing and Edmund printing the stones. 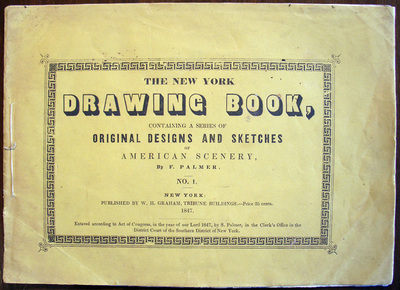 The company was not successful and this drawing book was one attempt to begin a commercial series that would save the business. Priced at 25 cents, it did not sell well and the series ended with No. 1. 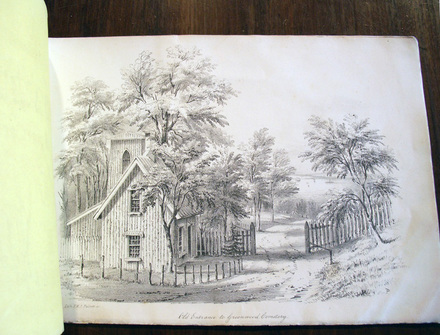 After going bankrupt, Fanny joined Nathaniel Currier as one of his leading staff artists. Palmer’s work was well received until 1857, when James Ives became Currier’s partner and began to redraw the figures in her pictures. She stuck it out, retiring in 1868 at the age of sixty-six.